Love to color with gel pens. They are for Christmas presents for students and/or teachers I work with. 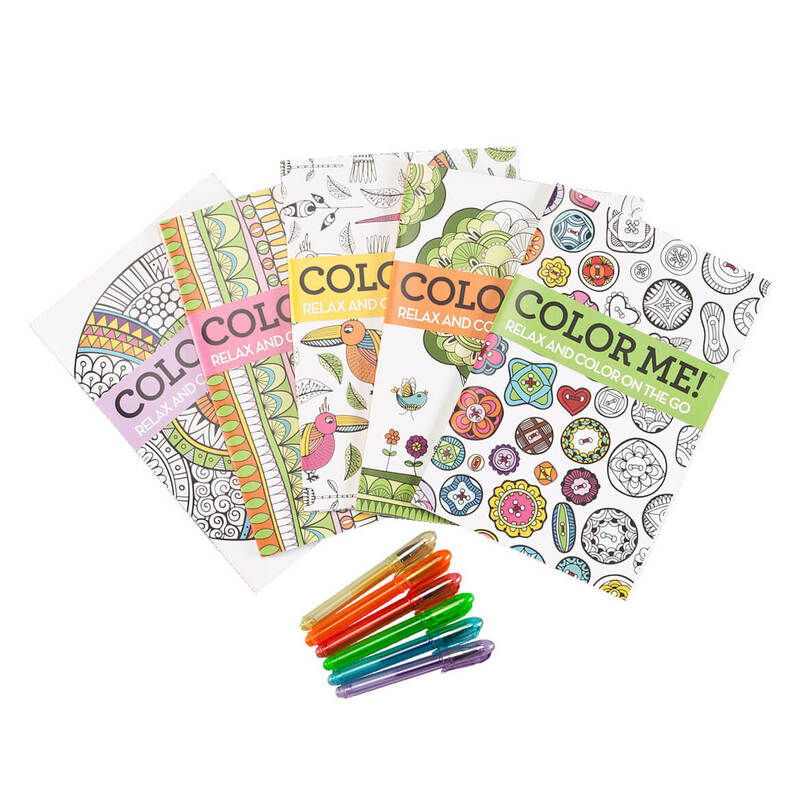 I thought this was really unique as I hadn't seen any mini adult coloring books and I live to color and thought these would be great to have in my collection of adult coloring books when I wanted to color one and finish it really fast. 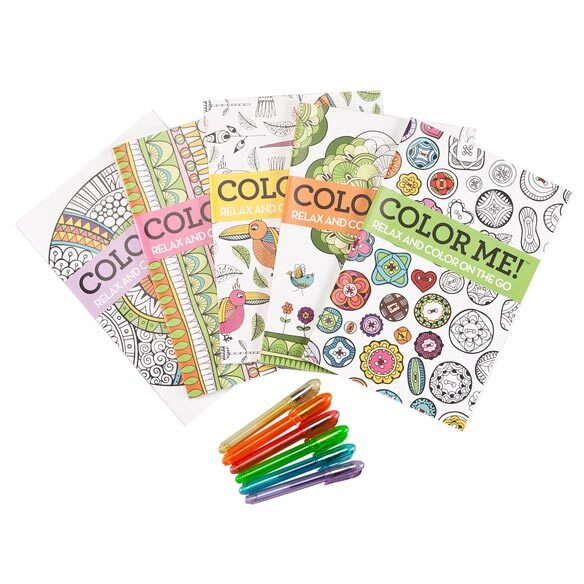 Great selection of material for coloring. For friend who is holding onto sanity by coloring. Hoping she will like the smaller size. Is it 30 pages so one image on each page? BEST ANSWER: Yes it's one image on each page. They're all different designs. I wouldn't call it a theme in any of the books. You can tell what the pictures are on most of the pages but some of them are abstract designs which are pretty cool too. The books are bigger than I thought they would be. I never actually looked at size or I should say measured it out in front of me so I'd know just how big they really were. They're about the size of a crossword puzzle book. I had thought they would be smaller. So think about that if that is what your looking for. If your looking for something really mini then these aren't but they are much smaller than your average sized coloring book out there sonit is still really nice to have and it will fit into some purses depending on how big they are if your wanting to take it on the go. I think it's worth the money. I don't regret buying them. Technically, there are 31 pages that can be colored. 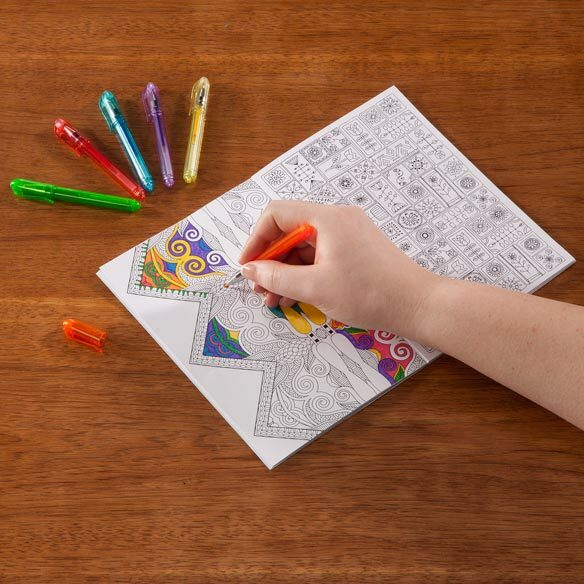 The coloring pages are front and back to each other.